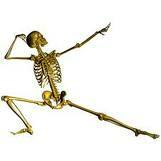 Everyoneknows that without strong, resilient healthy bones we humans would be be in sad shape. If you think about it, without bones we’d have no shape at all! In 2004 the Surgeon General issued a warning that osteoporosis could reach epidemic proportions by 2020 if action is not taken. The question is: what is the correct action? We can look for guidance from cultures where osteoporosis is rare. 98% of Southeast Asians are lactose intolerant, consume no dairy products and have the lowest hip fracture rates in the world. Calcium consumption in Japan is about half what that the US RDA recommends yet their hip fracture rate is less than half of that of the U. S. They maintain healthy bones without eating dairy products. One factor likely to lead to bone density problems is bloodstream acidity. Our blood pH needs to measure a slightly alkaline 7.4 for our cells to function properly. If our blood becomes too acidic, as a survival mechanism, calcium will be leached from the bones into the bloodstream to maintain healthy pH so chemical reactions in our bodies can continue normally. Eating excess animal protein… Lower animal protein diets can create a positive calcium balance. Traditional cultures will use the entire animal and often cook the mineral rich bones with the meat making the meat less acidifying. When making chicken soup I always pressure cook the carcass for 3-4 hours creating an alkalizing, mineral rich stock. Soft drink consumption… The average American drinks 150 quarts of strongly-acidic carbonated soft drinks per year which creates a negative calcium balance. Dr Michael Murray stated that “soft drink consumption in children poses a significant risk which can create an osteoporosis time bomb”. Other acidifying factors include: excess sugar consumption, excess stress, insufficient sleep, insufficient fresh air, or overuse of drugs and alcohol. Using common sense and learning from traditional cultures with a history of healthy bones, we can safely conclude the following: calcium-rich foods that are also high in magnesium, vitamin K and other required trace minerals are best for healthy bones. Adjustments we can make to protect our bone health include eating foods that provide readily absorbed sources of calcium. Among these are dark leafy greens like collards, kale and broccoli (not spinach); almonds, almond butter, sesame seeds, tahini and other nuts. Sea vegetables, may be the absolute “gold-standard” for calcium-rich foods. They can contain 10 times the calcium of milk. More importantly, the calcium in sea vegeatables is readily absorbable. Eat more vegetables and less animal protein. When possible cook the meat with the bones for greater balance and digestibility..Milk contains calcium but has insufficient complimentary nutrients to do much good. 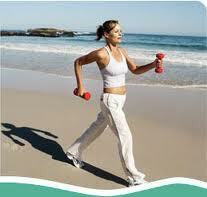 Additionally, modern American dietary and lifestyle excesses are primary factors in bone loss. Using a plant-source calcium supplement would be advisable if you feel your diet is less than ideal and have concerns about your maintaining healthy bones. Daily weight bearing exercise like walking, lifting light weights, tai chi, chi gung or yoga will help maintain healthy bones as well. Our bones are designed to carry us through a lifetime. With proper nutrition and exercise they will. Rob Pell owns and operates Sunshine Natural Foods in Grants Pass, Oregon and has 35 years experience helping people with natural foods, products, exercise and healing. This article appeared in The Daily Courier 3-16-2011..